Your estate plan should be the most important set of legal documents you create and execute over the course of your lifetime. It will also likely be a highly personal and often sensitive process that requires the assistance of an experienced and knowledgeable estate planning attorney. Choosing the right attorney to help you with your estate plan is the first step toward creating a plan that helps protect you, your assets, and your loved ones. 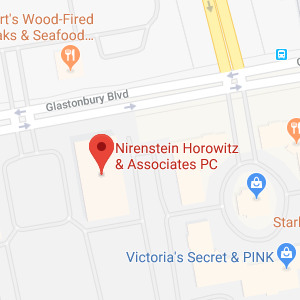 At Nirenstein, Horowitz & Associates, P.C. we would be honored to sit down with you and discuss how we can help you create your West Hartford, Connecticut estate plan. Covering approximately 22 square miles in the center of the state, the town of West Hartford, Connecticut in located in Hartford County and was home to 63,268 residents as of the 2010 Census. 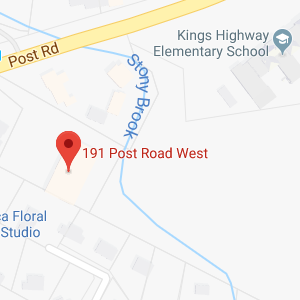 Around the turn of the 19th century, Seth Goodwin, started his pottery works and his name would be associated with West Hartford pottery for the next century. Sadly, the Goodwin Brothers Pottery Company burned for the third time in 1908 and never recovered. In 1854, West Hartford gained its independence when the General Assembly allowed it to secede from Hartford. By the end of the 19th century, the New York, New Haven & Hartford Railroad ran through town, adding to the growth of West Hartford. During the first half of the 20th century, the population of West Hartford swelled to 62,382 people by 1960. Toward the end of the 20th century, the town began to focus on development in the “Center,” as the downtown area is known. The Blue Back Square, which opened in 2008, is a pioneer mixed-use development in the Center that blends retail and residential living space on a large scale. Named after Noah Webster’s popular spelling book, Blue-Back Speller, the development draws both residents and visitors to its dining, entertainment, and retail stores. In 2010, Kiplinger’s Personal Finance magazine listed West Hartford as one of the nation’s “10 Great Cities for Raising Families” and ranked it #9 on its “10 Best Cities for the Next Decade” list. Also in 2010, CNN Money ranked West Hartford the 55th best small city in America and Travelandleisure.com called it one of 10 “coolest” suburbs in the nation. As you may already know, the creation of an estate plan can be a highly sensitive and very personal undertaking. Working with the right estate planning attorney is crucial to creating a plan that reflects your estate planning needs and objectives. Your choice of estate planning attorney is one of the most important decisions you will make over the course of your lifetime. At Nirenstein, Horowitz & Associates, P.C. we know that choosing an attorney to help you with your West Hartford, Connecticut estate planning needs is an important decision. We would appreciate the opportunity to sit down with you and discuss how we can help you with your estate plans. In order to rely on your estate plan in the future, you will need to establish a solid foundation now and then revise that plan in the years to come. The need to review and revise your estate plan is one reason that we urge you to develop an ongoing relationship with your estate planning attorney. When you are young, single, and just embarking on your career path you do not need much more than a simple Last Will and Testament to prevent leaving behind an intestate estate. As both your family and your estate grow, however, your estate plan will need to be updated to take those changes into account. Marriage, for example, may prompt you to want to add your new spouse as a beneficiary and/or a fiduciary within your estate plan. The birth of a child will trigger the need to protect your minor child’s inheritance through the addition of a living or testamentary trust to your overall estate plan. Having a family should prompt you to worry about the possibility of your own incapacity and the need to include incapacity planning in your overall estate plan as well. As your estate assets increase in value, it will become important to incorporate tax avoidance, asset protection, and probate avoidance tools and strategies into your plan. Looking to the future, the need to merge your retirement plan with your estate plan should be considered to ensure that they work in harmony with one another. The potential need to qualify for Medicaid as a senior may also necessitate the addition of Medicaid planning to ensure that you can cover the high cost of long-term care. Finally, if you have strong beliefs regarding end of life medical care as well as the manner in which your remains are handled after you pass, you will need to include advance directives as well as funeral and burial planning components in your comprehensive estate plan to ensure that your wishes are honored at the end of your life and even after you are gone. Our goal at Nirenstein, Horowitz & Associates, P.C. is to be with you throughout your life’s journey and help ensure that the people and things that are important to you are protected at all times. If you have additional questions or concerns about estate planning, or wish to get started on your plan, contact the experienced West Hartford, Connecticut estate planning lawyers at Nirenstein, Horowitz & Associates, P.C. by calling (860) 548-1000 to schedule an appointment.